You have been invited to your uncle's 70th birthday party. He is your favorite uncle and you have a difficult time accepting the fact he is in his seventh decade. He is livelier than most 40 year olds. He visits the gym several times a week, goes mountain climbing and camping in the summer, and lives life to the fullest. Older people enjoy reminiscing. This is the perfect time to buy him a candy basket. You do not want to get him just any ordinary candy basket. If you look around you will find a candy basket that offers retro candy. Yes, it has retro candy from his early years. He will enjoy the Necco Wafers as well as the Red Hots and Tootsie Rolls. He had these as a youngster and this is truly a gift for him to enjoy as he gets older. You might consider buying your uncle a 70th birthday party basket. You can find different baskets that offer different contents. 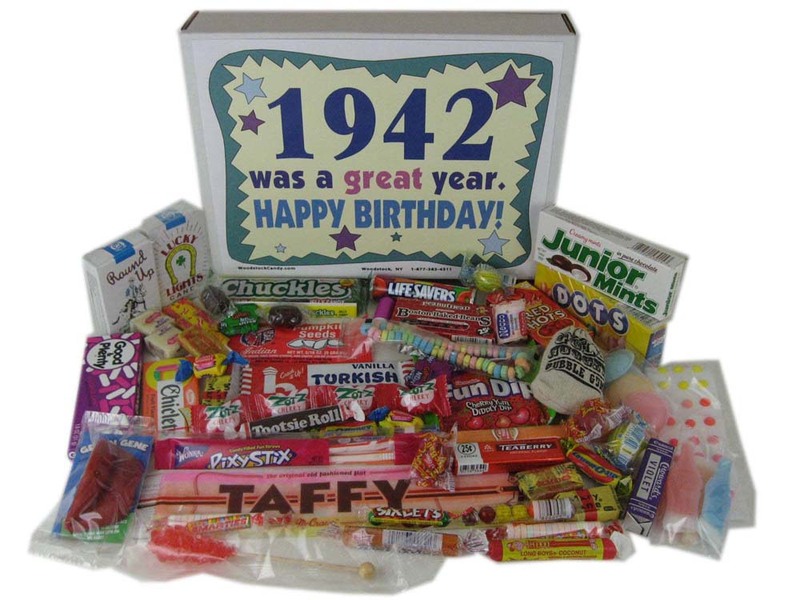 A really special 70th birthday party basket offers not only retro candy but retro toys as well. He will love the basket full of silly putty, a slinky, a Yo Yo, and a variety of other gifts along with the retro candy. There are other presents for the 70th gift idea. You just need to spend some time thinking about your uncle, his likes and his dislikes. You can have a lot of fun, for example, if you use another 70th gift idea such as an 'over the hill' birthday hat. You can find these in a variety of styles but one with a vulture is fun for everyone. He will quickly pick up on the 'over the hill' idea. As a person grows older there are certain items they always remember from their childhood. Two of the most popular items we remember are the candy we had available as well as toys. Nothing can say, "Happy Birthday," particularly on the 70th year, better than these two items. You can make the 70th truly special by giving your uncle this gift of love that will help bring back his childhood memories. 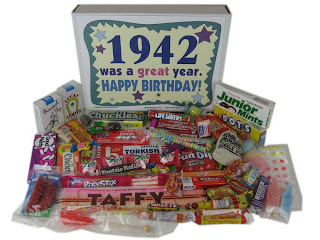 Another 70th birthday candy gift offers a huge selection of candy. Aside from the tootsie rolls, Necco Wafers, and Red Hots, another 70th birthday candy gift includes Lifesavers, Rock Candy, Chicklets, and many other goodies. Perhaps the most special candy in this gift is the candy cigarettes. Your uncle will have the time of his life as he reminisces about those days when he would put one of those delicious tasting cigarettes in his mouth.